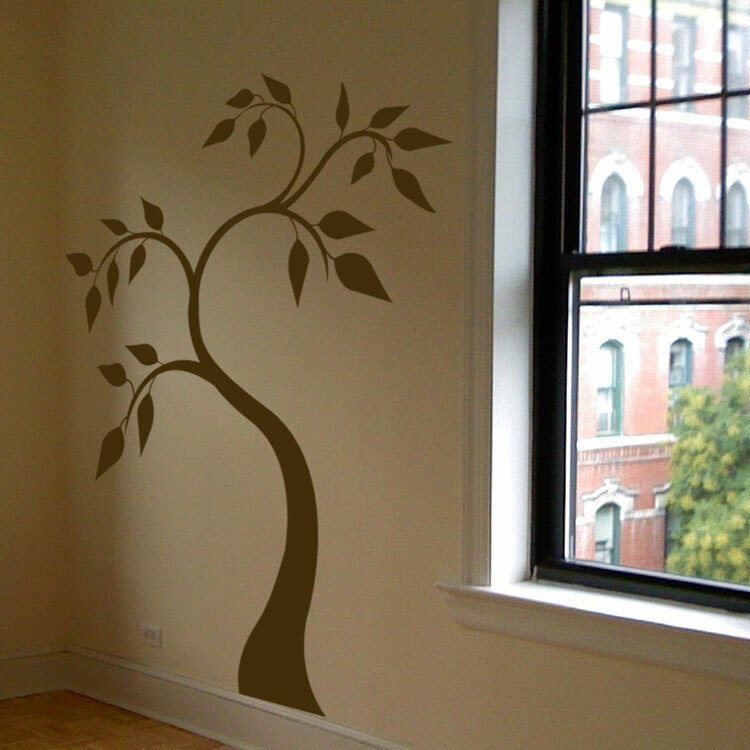 This simple and pretty tree wall decal is shown here in Dark Brown and measures approximately 43" wide by 60" tall. It comes in two pieces for easier application. I just wanted to thank your company for excellent service and help. When I needed a replacement piece, you gladly and quickly helped me. You also were so generous in sending some extra birds for me in a different color. Thank you so much. It is nice to see a company in this day and age who truly cares about their customers and concerns. I will highly recommend you and your wonderful decals which truly lighten up a room. Thank you again. You have A++++ service and product. We ordered some decals from your company and are SO happy with the result!! It was an economical alternative to other artwork and looks even nicer! We've had so many compliments on it and have referred so many friends to your site. Marisa was amazing to work with for our special order requests! Thank you again!! We will definitely be ordering more in the future! Robert Chadwick was fantastic to work with on both a technical and service level. He made sure what was delivered were the best portraits possible. My family loved the Christmas gifts!